After flood hit eastern Croatia, almost all of the buildings were demolished in total. CFF gathers funds for reconstruction of football infrastructure. 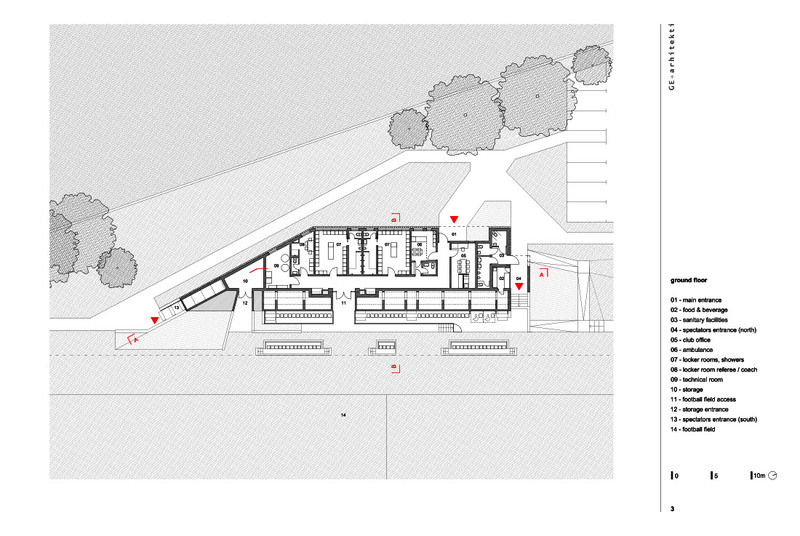 Concept is characterized by fitting the building into the context of greenery and rural ambience. 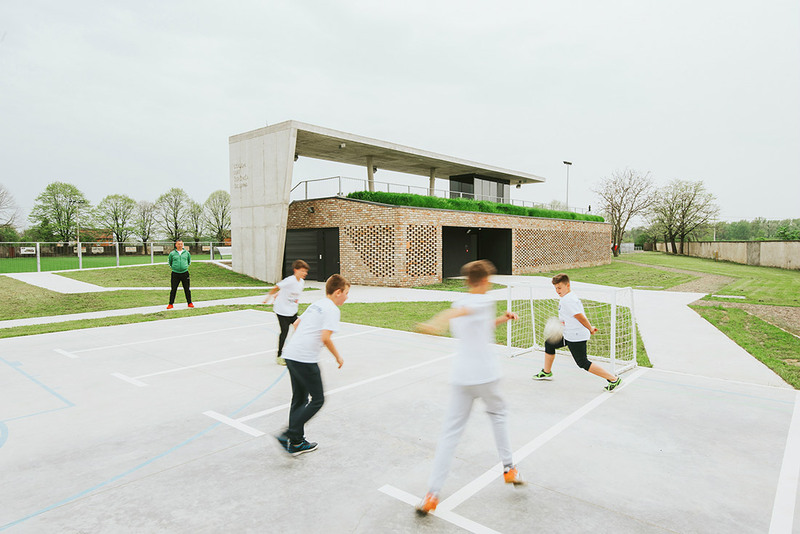 By designing the stadium to raise out of the field, designer creates symbiosis of architecture and environment as well as symbolic memory of the event created by embankment brakeage. Visual identity of the building arises from meeting the basic needs for performing sports. Materials used are chosen in the spirit of this rudimentary functionality, which is why natural concrete prevails in both interior and exterior. 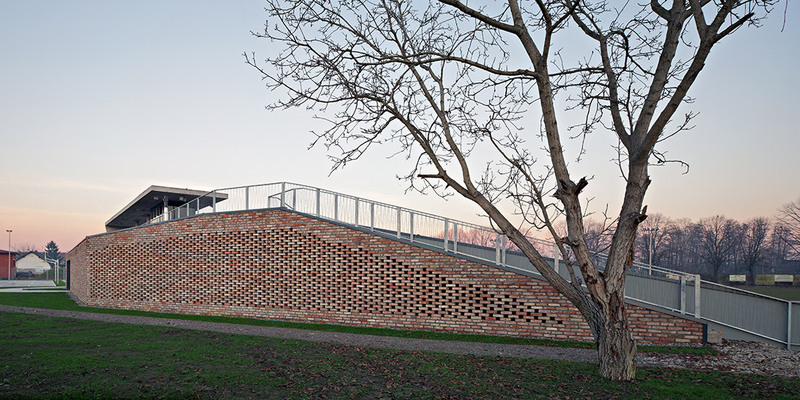 Building’s symbolism is further reflected in the use of bricks from flood-demolished houses on its main facade. By selecting between 12 000 preserved pieces, the best ones were used through special re-built technology. 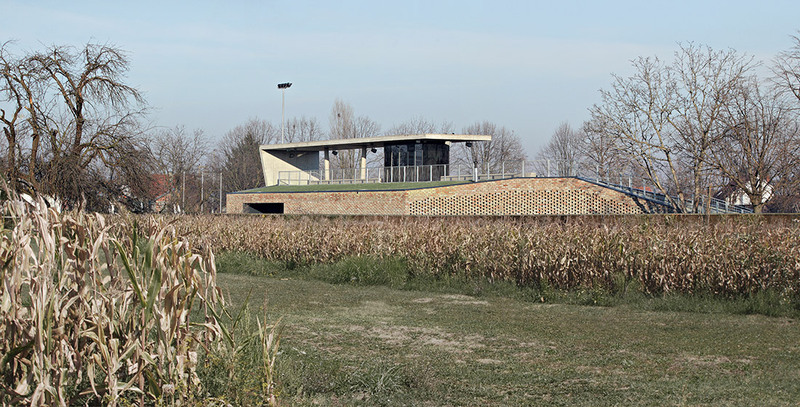 Stadium in Gunja is small by its size, but its significance for the local community generated a comprehensive design approach, reviewing the typology of small football stadiums, integrating contemporary architecture and design into rural landscape, which makes this building larger than its physical size. 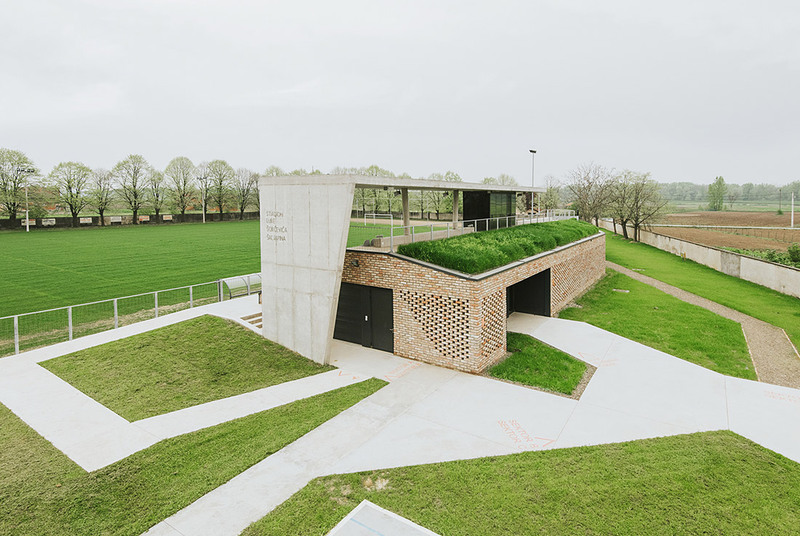 Creative low budget stadium design uses bricks from flood-demolished houses and creates an interesting story embedded in the building as a memory after catastrophic event hit eastern Croatia in 2014.